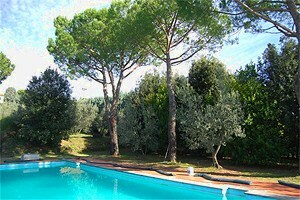 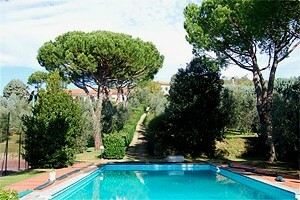 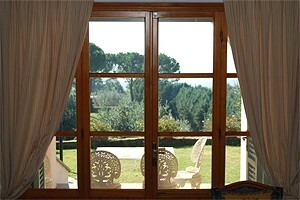 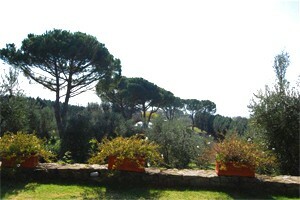 Villa with pool in the neighbourhood of Montelupo Fiorentino, a few kilometres from Florence. 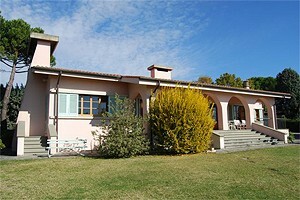 9 beds, tennis court, barbecue. 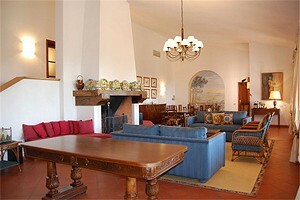 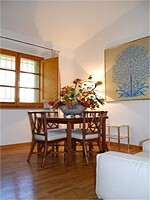 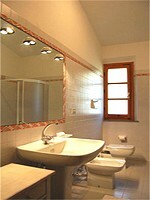 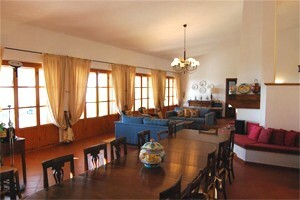 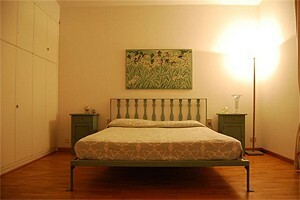 The villa (9 beds) is situated on the side of a hill in the Montalbano area, near Montelupo Fiorentino. 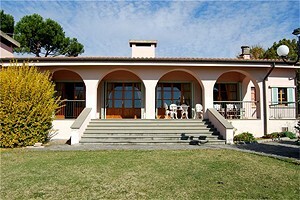 The building commands the charming Florentine countryside and is surrounded by trekking paths, which makes of the villa the ideal accommodation for those who want to spend their holidays strolling in close contact with nature. 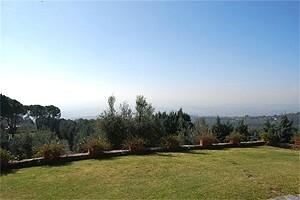 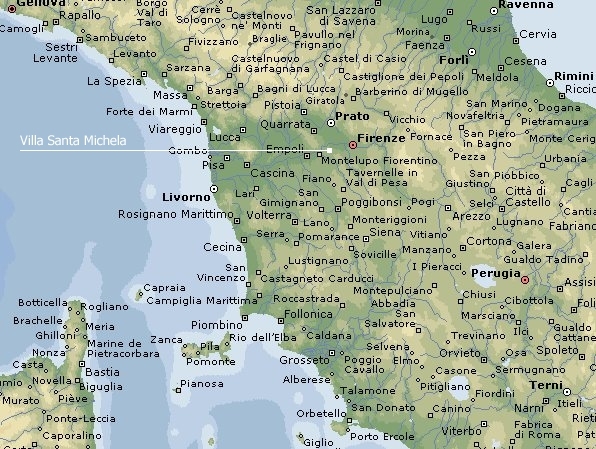 Situated in the heart of Tuscany, the villa is also an excellent staring point for visiting the most important cities of art in the region: Florence, Pisa, Volterra, Siena, Arezzo, San Gimignano, Lucca and Livorno are, in fact, within easy car reach. 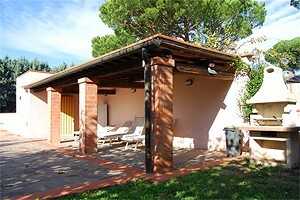 In the garden of the villa there are a swimming pool (16x7 m), with a smaller kid pool, a dressing room and a bathroom with shower, and the barbecue equipment. 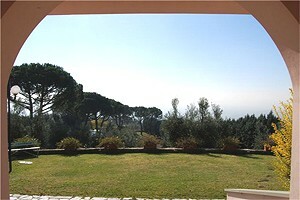 Possibility of playing tennis in the private tennis court. 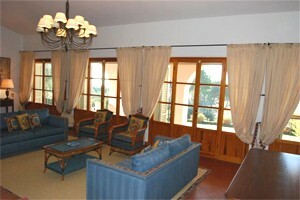 The rooms of the villa (4 bedrooms and 3 bathroom) cover a surface of 400 m² and are distributed over two storeys. 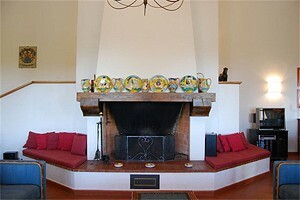 The ground floor composes of a living/dining room with dining table and fireplace, fully equipped kitchen and 1 bathroom. 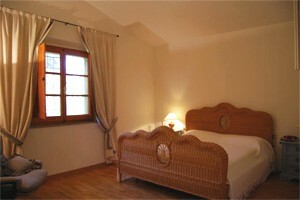 The first floor composes of 2 double bedrooms, 1 twin-bedded room, 1 room with double and single bed and 2 bathrooms with shower. 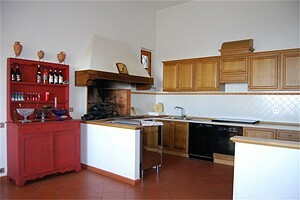 Laundry with washing machine, iron and ironing board in the basement.